Founder & CEO of Byte Media Group, Author of What is Cryptocurrency — Cahill Puil is an Author, Founder and CEO of Byte Media Group, an agency that helps founders and executives build their public profile and get exposure with thought-leadership & PR. His insights a… (show all) Cahill Puil is an Author, Founder and CEO of Byte Media Group, an agency that helps founders and executives build their public profile and get exposure with thought-leadership & PR. His insights and reports have been featured on dozens of publications and podcasts from Radio America, Confessions of a Marketer and Marketing Geeks, to Fintech Weekly, CEO World, Real Leaders and more. You can get early access to his book: What is Cryptocurrency: A Simple Guide to Understand, Get Setup, and Profit from Bitcoin, Blockchain, Ethereum and more. Imagine for a second you run the largest aircraft manufacturing company in the world. You have orders worth +$600-billion of an aircraft model that, as of March 10th 2019, has had it’s second tragic crash. The first being mere months earlier. But instead of stepping ahead of the problem, tackling the hard things and taking an immediate loss – you do the complete opposite. There’s a lot of talk about Boeing 737 Max aircraft crash recently. And rightfully so. Over 300 lives were lost in a series of consecutive accidents, with the same type of aircraft, in mere months, in an industry that boasts the lowest statistical probability of a fatality. Boeing may not be at blame here, there’s still an investigation going on, but that doesn’t explain how it came to pull what seems to be one of the costliest PR mistakes in aviation history. 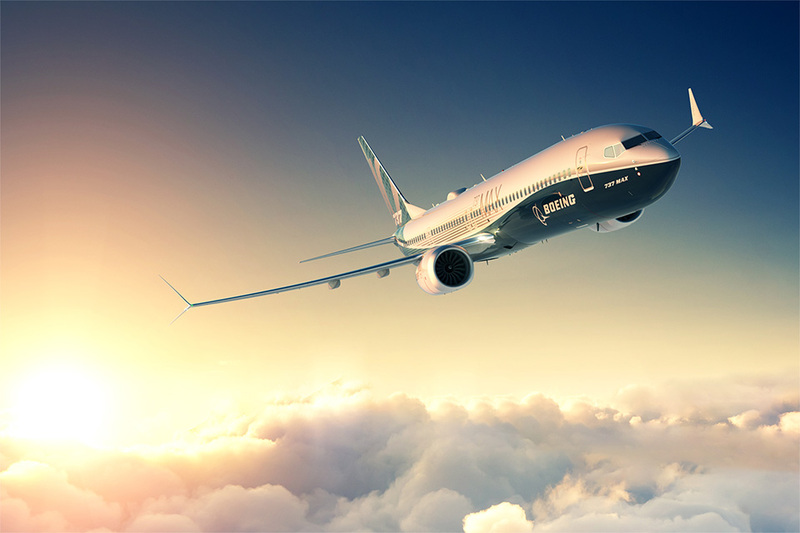 Here’s what Boeing did wrong — and how you can avoid similar mistakes when bad-luck strikes. The first thing any great leader does is step ahead of the problem. One accident in the airline industry is enough to turn heads. Two – by the same manufacturer – is something that a great leader would jump out in front of. Yes, there may not be enough detail to fully understand the incident and it might not have anything to do with Boeing’s product — but human lives were lost and it’s better to err on the side of caution. Of course it will cost money in the short run. Depending on the size of your company this might be thousands, hundreds, thousands, or even millions (or billions) of dollars. But the effect of being proactive will far outweigh the initial cost, and in this case, you’ll ensure people’s safety as well. Being proactive is actually cheaper and is doubly true when you’re dealing with hungry competitors who want your market share. Instead, Boeing opted to seek Presidential authority to keep their planes flying, denied any safety concerns with their PR and pushed on as if it was “business as usual.” It wasn’t. Stewards knew it. Pilots knew it. And the people who buy, operate, and fly on their planes knew it. And yet nothing was done. Great leaders recognize when a problem’s brewing – stepping out in-front of it, and tackling the challenge head on – is always the best solution. Tylenol is the classic case study of this, when they averted disaster from Tylenol deaths in the early ‘80s. As Jocko Willink mentions in his TED Talk on Extreme Ownership – it’s, fortunately and unfortunately, always the leaders fault. Plane navigation errors? Your fault for not simplifying things with your engineering team. Documentation errors? Your fault for not working with your communications team. Incorrect material used in your product? Your fault for not working with your manufacturers or engineers to clarify requirements. Delays? Errors? Returns? Refunds? They’re all your fault. Unfortunate plane crash that has cost the lives of hundreds? Again. Also your fault. When owners take extreme ownership they build trust with the people who purchase, use, and support your company. They send a clear message – that they are the ones who will ensure that problems are solved, and you are in good hands. Guess who’s mission this is? Truly living your vision is what great companies do. They leverage the Visiconomy to create massive economic value — as Nike did with their Kapernic ad and Serena Williams catsuit comment. Bad things will happen in business. The faster you grow, the larger your company becomes and the more attention and impact you have — the higher the probability that you’ll eventually encounter a challenge. Great companies let their vision guide them to create economic value. They stick to their guns. They allow — and encourage — employees, communications teams, and marketing teams to follow suit. The result is always a better outcome than skirting around the issue. If people can’t trust you to stick to your mission — why would they trust you with their money, time, or lives? We have yet to see the full extent of the PR nightmare that surrounds Boeing. The stock has taken an immediate dive costing the company over $22-billion in value. And with $600-billion in orders outstanding, you can be sure that the competition isn’t sitting by idly. But you don’t need to incur an expensive mistake to understand what not to do with PR. As we continue to move forward into our hyper-connected world, stepping ahead of any problem, taking extreme ownership, and leveraging your vision is the only way to get your PR and your message off the ground.